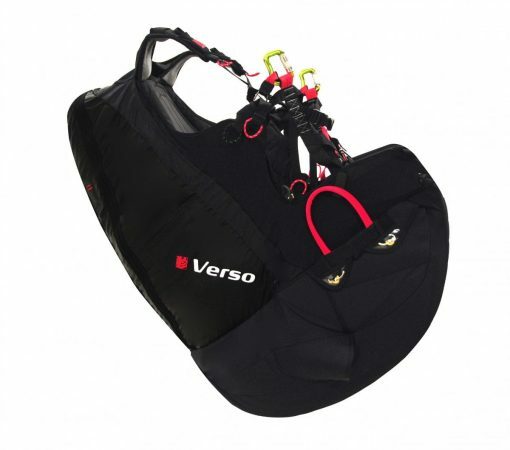 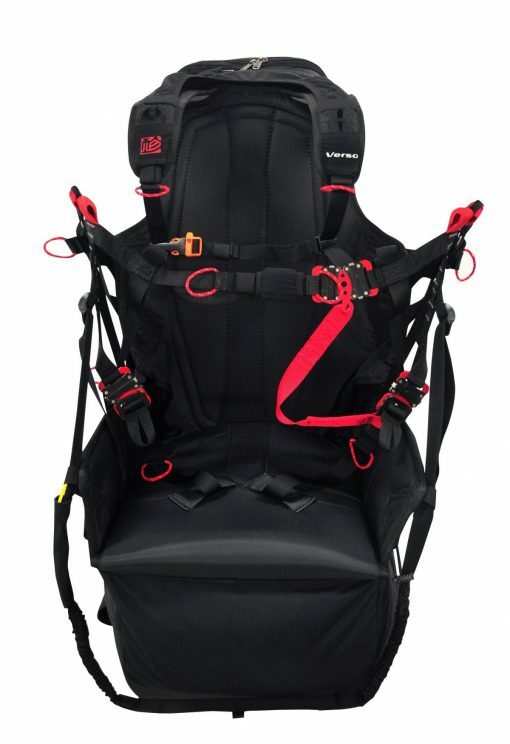 Its not difficult to see why the Gin Verso 2 is one of our best selling paragliding harnesses. 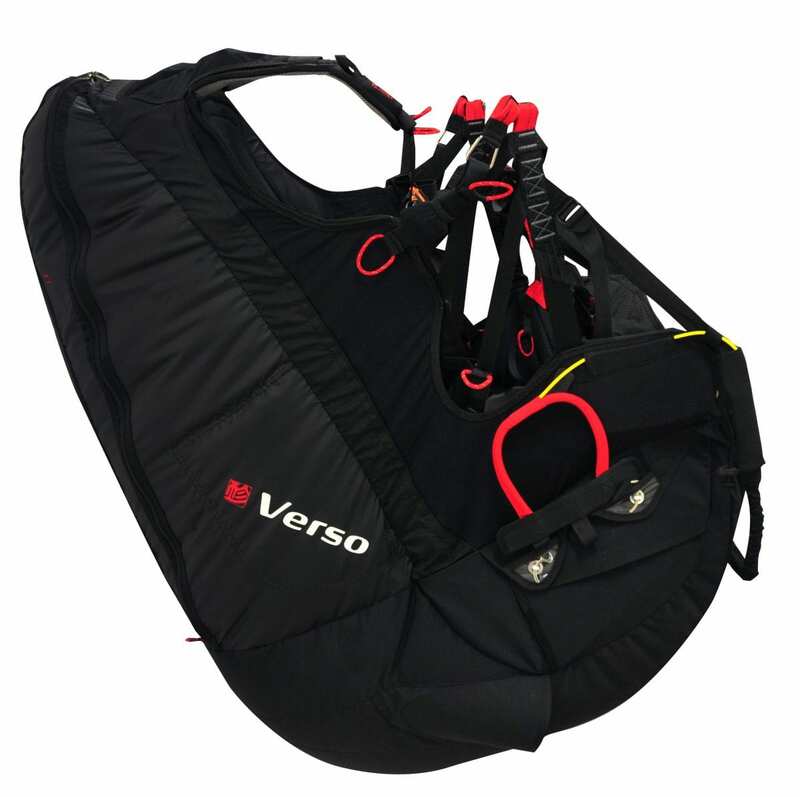 The Gin Verso 2 is a lightweight reversible harness with an under seat rescue parachute container and carbon seat plate. 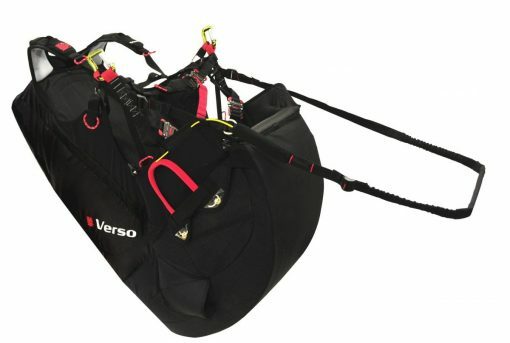 The harness is aimed at those pilots who want to put together a compact lightweight package but the Verso is still more than adequate to be able to enjoy comfortable long distance cross country flights. 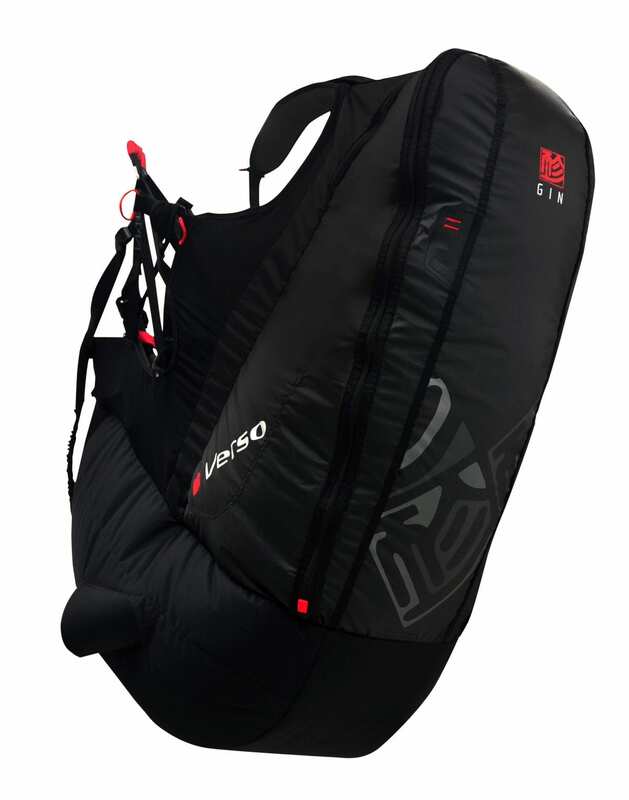 Even though the Gin Verso 2 features an inflatable airbag back protection, the pilot is protected as soon as the harnesses is worn due to the built in titanium wire pre inflation system. There is also an optionable foot stirrup that can be ordered together with the Verso 2 and the harness is available in 5 sizes to suit all pilots. 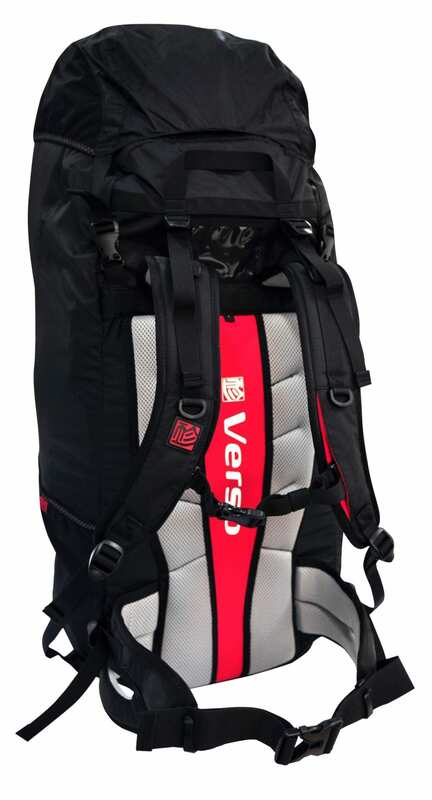 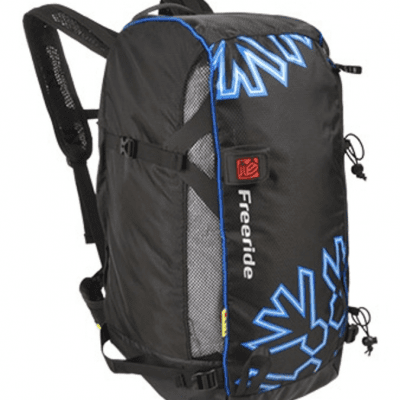 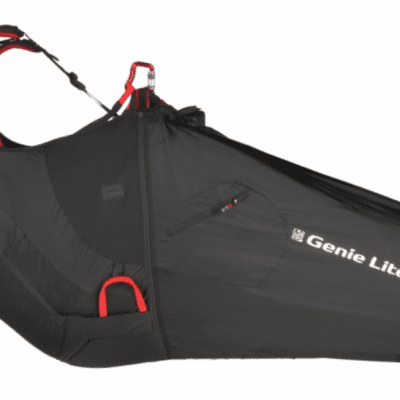 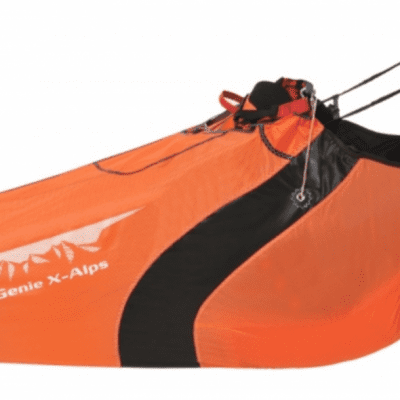 When reversed, the rucksack is around 95L in size and we have found this to be a perfect size even with the use of standard non lightweight paragliders when packed correctly although the removable top also provides an extra 12L should it be needed. 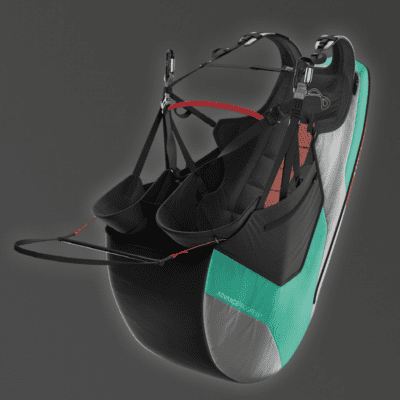 Learn more about reversible paragliding harnesses. 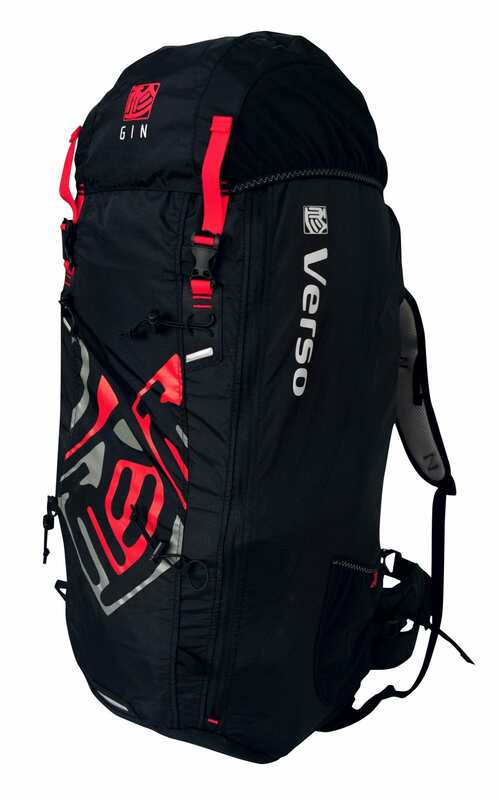 Summary: Gin Verso 2. The perfect harness for the pilot who wants a small, compact paragliding package for ease of transport and long distance hike and fly.